**To avoid long hold times we encourage making your reservations on-line. 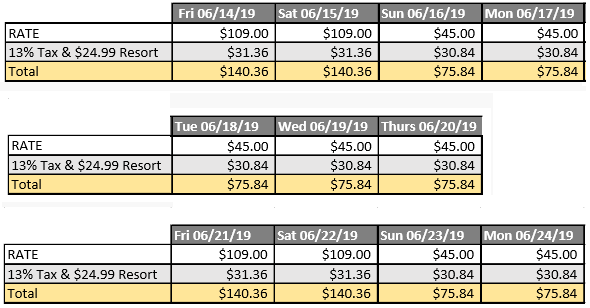 Reservations must be made on or before 05/14/19 to ensure availability and group rate. Additional events still pending. The info below is confirmed.